Steam is constantly evolving behind the scenes, but the latest reorganization of the storefront’s molecules has left some developers scratching their heads. Now, if a game makes $10 million, developers have to share less money with Valve. And if it hits $50 million, even less than that. 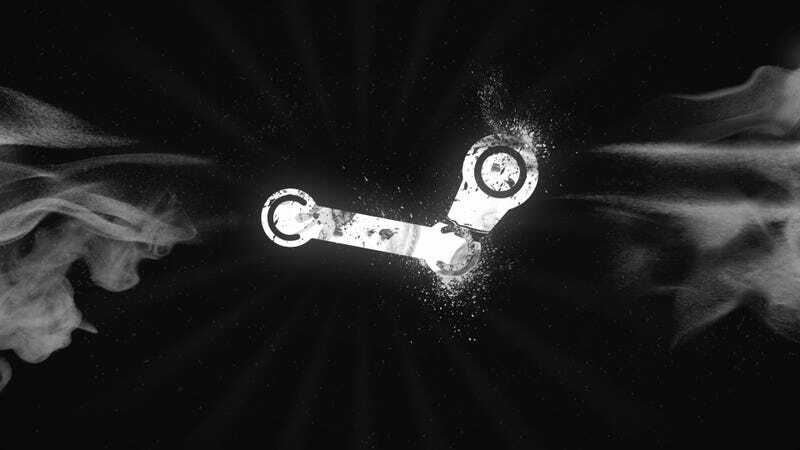 Valve announced tweaks to Steam’s revenue sharing system in a post on Friday. Previously, all developers had to give 30 percent of their revenue to Valve. Now, if a game makes $10 million, its developer only has to toss 25 percent of earnings after that into Valve’s bottomless money abyss. If it makes it all the way up to $50 million, the developer only owes Valve a 20 percent cut of remaining sales. Meanwhile, smaller developers, who make up the bulk of Steam’s library, will still owe Valve 30 percent of their earnings. These developers might be lucky to sniff $1 million, let alone $10 million or more. In a marketplace where it’s increasingly difficult for even the most enterprising indies to gain a foothold, developers are bewildered by Valve’s decision to make things easier for the biggest games, which already have it easier in terms of exposure and money-making potential. In recent years, an increasing number of major games have eschewed Steam to launch on publishers’ own stores—for example, Call of Duty: Black Ops 4 is on the Blizzard’s Battle.net, EA’s games release via Origin, Fallout 76 is on Bethesda’s launcher, and Fortnite is on Epic’s. “If Valve is willing to drop their revenue share on games that make 90% of the revenue of Steam, why not create some goodwill with indies and extend that to the 99% who make up for that last 10%?” said Hidden Folks designer Adriaan de Jongh. On top of that, all is not well in the steamy metropolis of Algorithm City. Multiple small developers have claimed that Valve changed Steam’s game discovery algorithm in October, drawing significantly fewer eyeballs to their games’ store pages. Grey Alien Games owner and Shadowhand developer Jake Birkett wrote a lengthy post about the issue in which he chalked up initial discovery issues to a bug that caused Steam to only recommend “some big name games instead of relevant games.” Birkett claims that Valve “quickly” fixed it, but smaller developers’ traffic from the Steam home page and “other product pages” hasn’t recovered. This is hitting some developers where they were already hurting: their pocketbooks. “I compared full price sales before and after the October bug (being careful to avoid weeklong sales and Steam sales), and my total units sold have halved,” said Birkett. While Valve at least explained its rationale surrounding the revenue share changes, it has yet to clear the increasingly murky air surrounding the discovery algorithm. Kotaku reached out to Valve for an explanation, but as of writing, the company had yet to reply. Update - 2:30 PM, 12/05/18: Valve explained in a Steam post why the algorithm went haywire in October, admitting that a bug in early October caused smaller games to lose traffic, and further changes led to a situation in which “overall impressions and views for the ‘More Like This’ section did show a substantial decrease for about two weeks after the initial bug.” However, the company says the problem has since been rectified, and traffic has “stabilized” since the end of October.